Stainless steel made döner kebab machines. Available with 3 or 4 burners. Each burner can be adjustded independently. 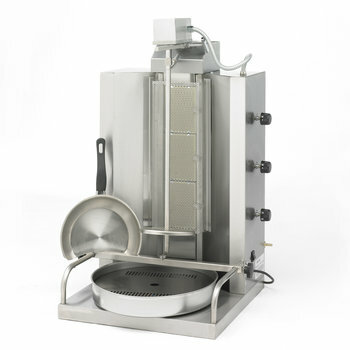 Sammic's AG Gyros/Kebab burners are made of high quality stainless steel. 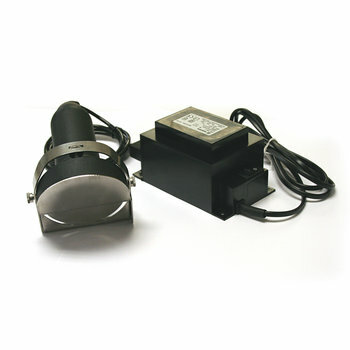 The motor is located on the top of the machine, avoiding fat drips and improving the durability of the machine. All models, with 3 or 4 burners each, allow to adjust each burner independently. Total safety control is guaranteed thanks to the thermomagnetic valves, one for each burner. 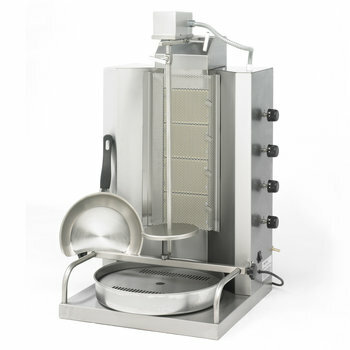 The burners are covered with a special high-temperature-resistant protective grid.